Former NJ Senator Prepared to Fight DOJ Over Wire Act Reversal! As we recently reported, the DOJ reversed its opinion over the 1961 Federal Wire Act. As a result, its got the whole industry in defence mode. Plus, NJ lawmakers are gearing up to protect state rights. Even former Senator Raymond Lesniak has once again joined the fight. According to the memo released by Deputy Attorney General Rod Rosenstein, states have 90 days to comply. However, this new opinion will end up in a courtroom, so it’s likely we have a battle on our hands NJ. With that said, let’s break down the facts. There’s no doubt about it, in a worst-case scenario, the hit would hurt hard in NJ. 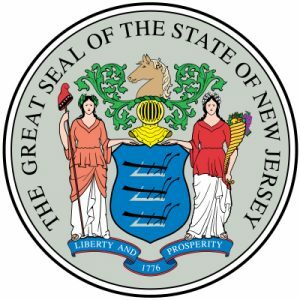 Even though it wouldn’t be the end of online casino and sports betting in the Garden State, but the whole set up would require starting all over again. That alone will damage everything NJ fought for. Luckily, we have Lesniak who’s gearing up now to bring the fight to DC. Also, the First and Fifth Circuits Courts of Appeals holds the opinion that the Wire Act only applies to sports betting. Considering the DOJ and the Appeals Court and not on the same page, this could go all the way to the Supreme Court. And they’re the one who overruled PASPA and made this all possible in the first place! So as you can see, just as he did for sports betting, he’s prepared to take this all the way back to the Supreme Court if need to be. But, it’s likely this opinion will get readjusted again, and things will continue as normal. On that note, we’ll be keeping a close ear on this developing story. As soon as we hear something new, you’ll be the first ones to know.